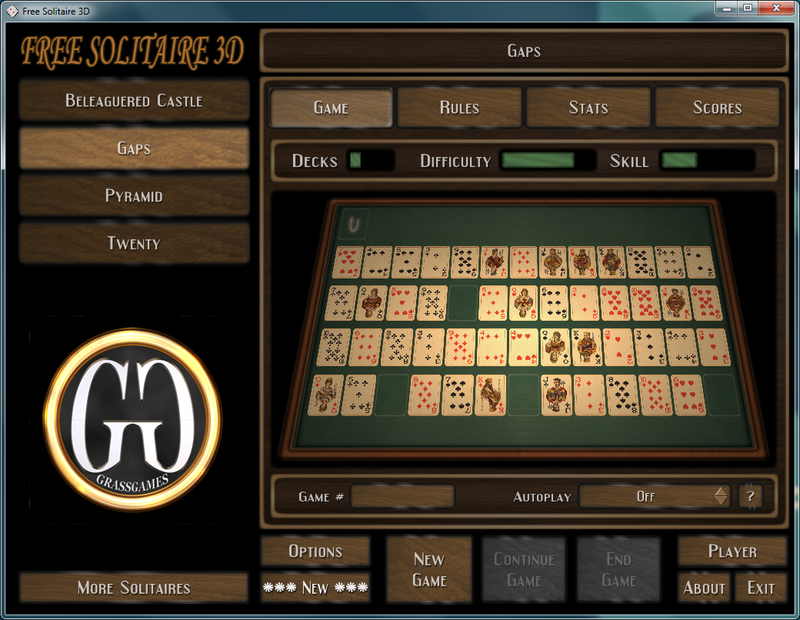 Free Solitaire 3D includes four solitaire games; Beleaguered Castle, Gaps or a.k.a. Montana, Pyramid, and Twenty, free of charge. 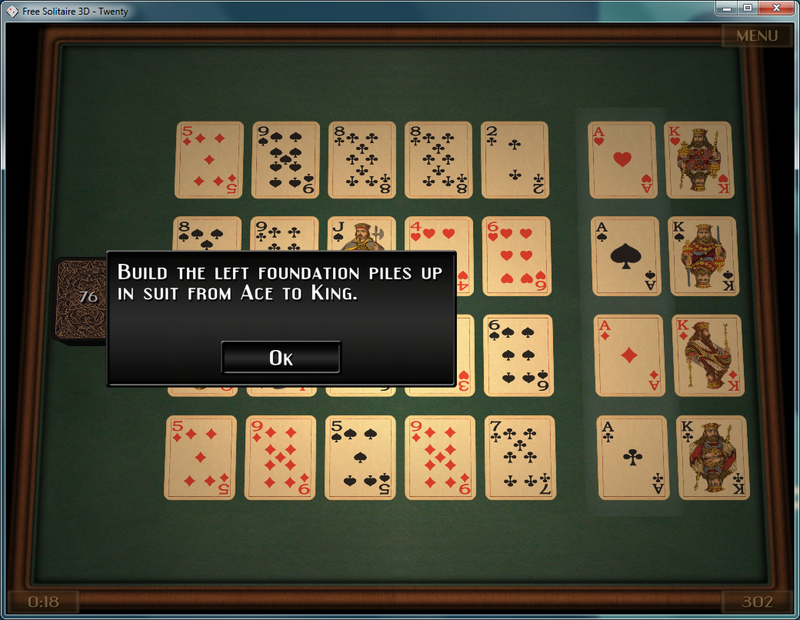 The game features a lot of customization options and the decks in the game can be printed out by the player. In a word, "wow." 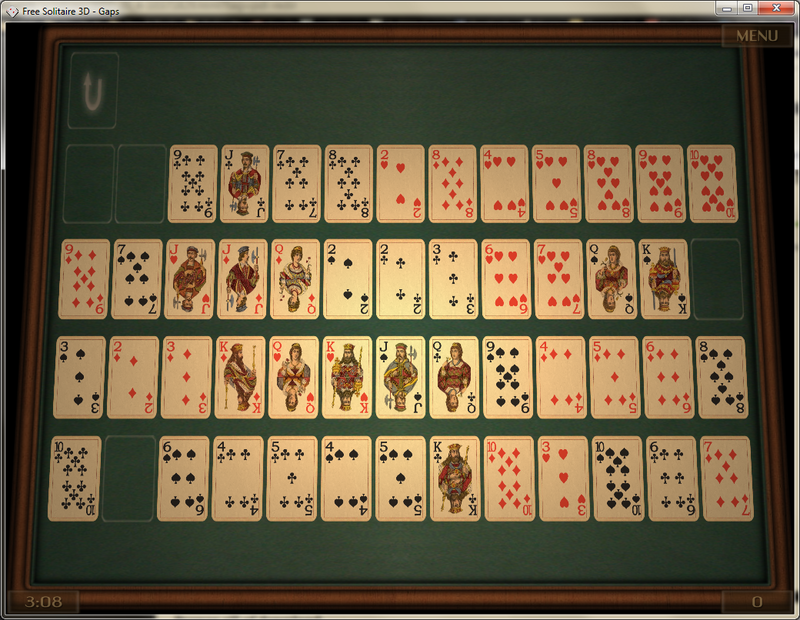 I'm not a regular solitaire player but if I had to choose what solitaire game I'd have in my PC, it would be this one. Granted the game choices are limited and do not include the more popular solitaire games, still the level of detail this game has in terms of cards and table as it's rendered in 3D is pretty amazing. 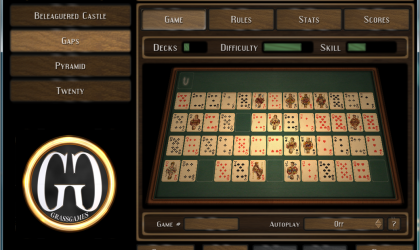 The game offers four solitaire games, namely; Beleaguered Castle, Gaps, also called Montana, Pyramid, and Twenty. For those unfamiliar with these games, there is no need to fret. Being new to these games myself, I found the game's tutorial and the rules it provided to be helpful and easy to understand. 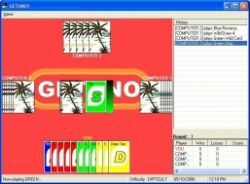 The sound aspect is typical of card games, some sounds of shuffling, cards being flipped, and other usual fare in these games. What really drew me in was the game's graphics. The cards look gorgeous and the table or play area really gave out the card table vibe. Behind the scenes, I discovered that there was a whole bunch of options available for setting up your card game. You can choose the art in front of the cards (the faces) or the art at the back of the card. 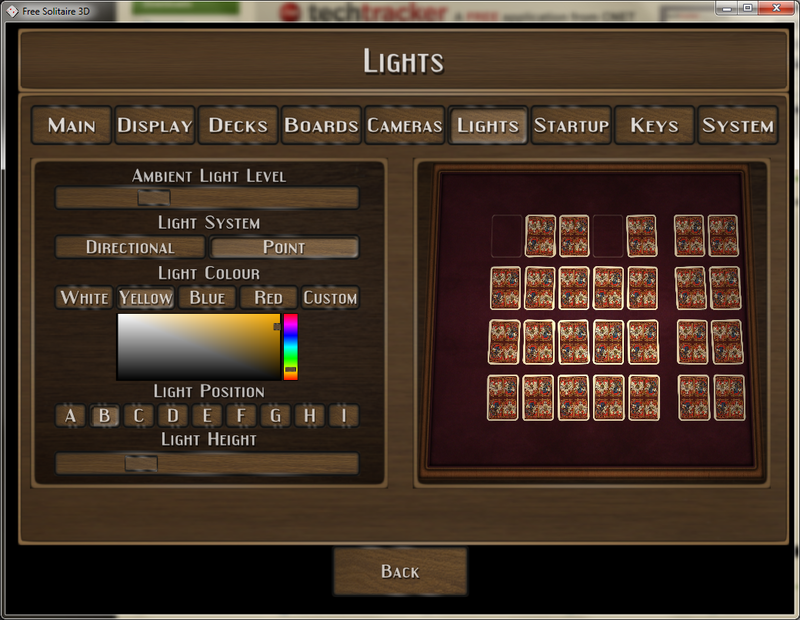 You can choose what kind of playing table your cards are played on, the lighting's brightness, the placement of the light, and whole lot more. There's even an option setting that sets how neat the cards are placed on the table; from aligned straight, to the somewhat less linear human, to the downright sloppy card distribution. It was fun to fool around with this setting, as it was refreshing to see a card game that did not line up the cards no human could ever do in real life. 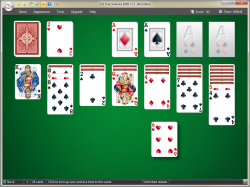 The game is merely an introduction to a whole suit of solitaire card games (around 70+) should you opt to purchase the full version. That's entirely up to you. 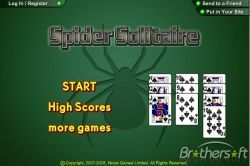 The free version, though, offers a solid solitaire game experience with its challenging gameplay (the four games available are not easy solitaire games) and refreshing 3D graphics.